Halsted was awarded a Bronze Award from the Health and Science Communications Association. 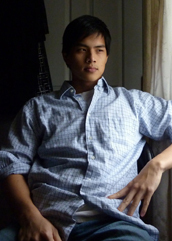 Alan Wu is a recent graduate from Stanford College with a strong interest in creative film making. His previous films include Fugue, Boiling Point and Memories. 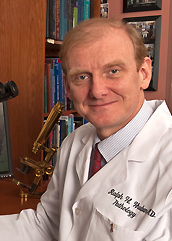 Ralph H. Hruban, M.D. is a Professor of Pathology and Oncology. He has written over 500 scientific papers, 100 book chapters and reviews, and five books. He is recognized by the Institute for Scientific Information as a Highly Cited Researcher and by Essential Science Indicators as the most highly cited pancreatic cancer scientist - designations given to the most highly influential scientists. Together with his neighbor, David B. King, he wrote a fictional screenplay on the life of William Stewart Halsted. This screenplay won second place in the Baltimore Screenwriter's Competition and fifth place in the Golden Brad, a national screenwriter's competition. 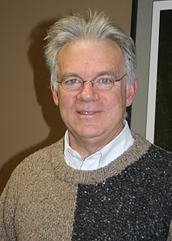 Dr. Hruban has received a number of awards including the Ranice W. Crosby Distinguished Achievement Award for scholarly contributions to the advancement of art as applied to the sciences. 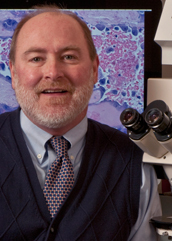 Norman Barker is an Associate Professor of Pathology and of Art as Applied to Medicine. He has written several books, including Ancient Microworlds, Seaweeds: Wonders of the Ocean Realm and Paleobotanical Splendor. His photographs are in the permanent collections of more than forty museums, including The Smithsonian, The George Eastman House, The American Museum of Natural History, and The Science Museum in London. He is currently collaborating on a book entitled The Eye of the Beholder: Exploring the Aesthetics of Medicine. Paul Schlitz Jr., a lawyer and partner in the firm of Mering and Schlitz, is a self-taught composer and musician. He sings in the musical group "The Missing Chums," and has composed original music for a number of groups at Johns Hopkins over the years. Paul composed and recorded 28 original pieces of music for the documentary, sometimes using a set of variations repeated over a ground bass to illustrate the redundancy of Dr. Halsted's addiction. Of interest, it is likely that Paul's great grandfather, Francis Augustus Schlitz, M.D., may have known Dr. Halsted. Francis Schlitz graduated from New York University's School of Medicine in 1878 and subsequently interned at Bellevue Hospital.